Belgium is the forefront of roots and rockabilly on the European mainland since a zillion beers ago. 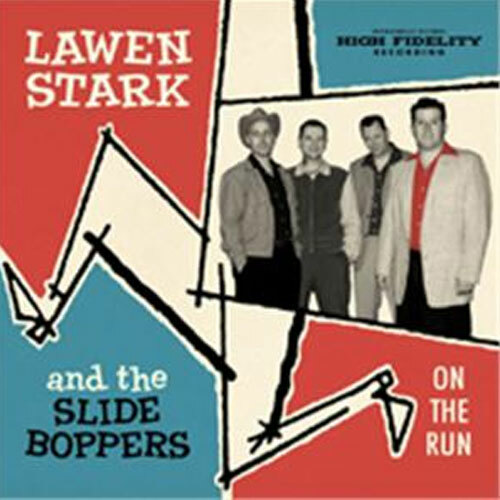 One of the combo's to carry on this tradition is Lawen Stark and the Slide Boppers. 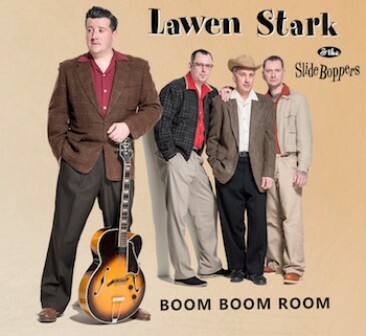 From barroom to ballroom, in honky tonks and rocking joints, or at renowned rumbles all over the old continent, this foursome has the goods and delivers in style. The hard part is to capture such an excellent stage vibe in a recording room. Well, they nailed it! 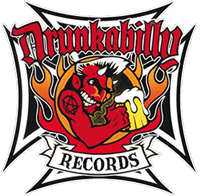 This album has a natural reverb reminiscent of the Sun era, giving red hot originals the sound they deserve, alongside floorfillers from the likes of Sonny Fisher and Lee Pickett The Screamers. It shows the Slide Boppers build on decades of action in numerous bands that earned their stripes. The Be Bops, Rhumba Kings, Running Wild - to mention a few - and Hometown Gamblers, whose "Fly Away" is rejuvenated. Now shake or shuffle every which way you please, while "On The Run" is spinning for the lovers and the lonesome. The vinyl version is on black wax and a lim ed from 500 copies !